The following is a guest post from YourMechanic, which delivers mobile car repair by certified mechanics in over 700 U.S. cities. Their top-rated technicians can perform over 600 services at your home or office for up to 30% less than shops and dealers. Every driver wants better fuel economy, and there are a range of methods to get every last mile out of a tank of gas. Here we look at different parts of your car that affect fuel economy, and share some tips that can save you dollars at the pump. The air filter is what your engine breathes through, so it can be the case that a dirty air filter will reduce your fuel economy. This is mainly true if your car has a carbureted engine (common before 1980), as modern fuel-injected engines have onboard computers that adjust the air-fuel mixture on the fly. Still, it’s important to replace the air filter when it gets dirty. We recommend every oil change or two, especially if you live in a dusty or dirty environment. Maintaining correct tire pressure is one of the easiest ways to improve your fuel economy. Think your tires are fine? It’s worth checking: the National Highway Traffic Safety Administration estimates that one-third of cars have underinflated tires. Underinflated tires have more friction and resistance on the road, leading to increased fuel consumption (plus premature tire wear and a higher risk of blowouts). 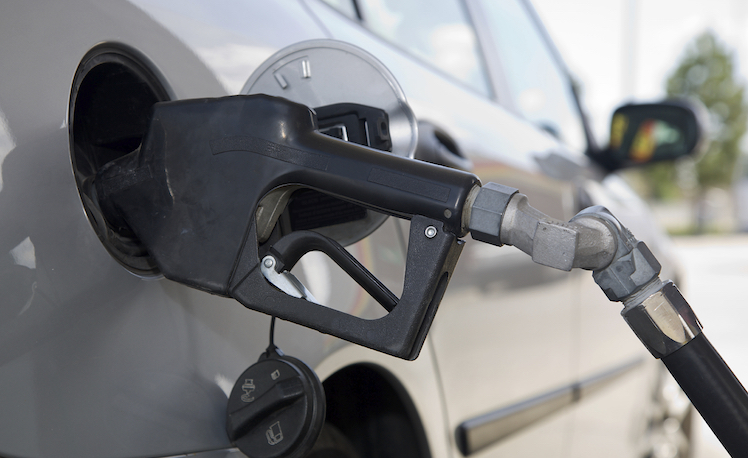 You can use the air compressor many gas stations have to check and fill your tires once a month. Keeping a steady speed using cruise control is a great way to conserve fuel. On a flat and level road, your engine can maintain efficiency. However, chances are the road you’re on has changes in elevation. When your cruise control senses an incline, it opens the throttle to maintain your speed. That rate of acceleration could be more rapid than how you would accelerate on your own. Turn off cruise control when you approach hills, accelerate gently, then turn it back on when the road levels out. To optimize your fuel economy, it’s best to drive a car with an automatic transmission. New automatics are becoming ultra-efficient through increasing gear counts – it’s not uncommon to see eight-speed automatics these days. Continuously Variable Transmissions (CVTs) have “infinite” gears and can hold engine speed at an optimal point for fuel efficiency, even as you accelerate. Still, for enthusiasts, a few less MPG’s could be a worthwhile tradeoff for the increased fun of driving a car with a manual transmission. Your engine is tuned to run on a specific octane of gas. If you’re using premium in an engine that’s meant to run on regular, you’re pouring money down the drain – it simply won’t give you any benefit in power, performance, or efficiency. However, the opposite it not true: if your engine is rated for premium and you fill it with regular, you could see a reduction in performance between six to 10 percent. If you’re unsure, your car’s octane requirement should be under the fuel filler door. The fact is, the more you drive, the worse your car’s fuel economy is going to get. Normal driving will wear down your car’s components and reduce the tight manufacturing tolerances it had when it was brand new. Fortunately, this is a very gradual process that happens over tens of thousands of miles. Eventual degradation is unavoidable, but keeping a regular maintenance schedule helps maintain fuel efficiency. We can come to your home or workplace to tune up your car and make sure it’s getting the best mileage it can. In the past, large cars and SUVs burned up a lot more gas than their smaller counterparts. However, technology is leveling the field: hybrid drivetrains, clean diesel engines and low rolling resistance tires are a few ways that automakers are improving efficiency. These advancements mean new cars have better fuel economy than ever before, regardless of size. If you’re buying a new or used car, look for these features to help maximize your mileage. Governmental standards and consumer demand has led to a reaction from the auto industry: the cars of today are more fuel efficient than ever before. Additionally, with hybrid and all-electric drivetrains on the rise, there are increasing options for cars that don’t use a drop of gasoline. It’s likely that in the next decade we’ll all be driving cars that get 50 miles per gallon or hundreds of miles to the charge. Who wouldn’t want to use less fuel?